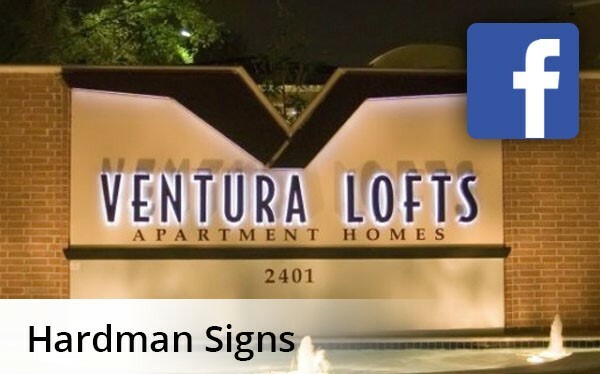 Since 1987, Hardman Signs has designed and fabricated handsome and durable interior signs for the Southwest's businesses and municipal buildings. We employ a dedicated staff of designers, project managers, permitting and site analysis guides, interior signage engineers and installation/maintenance/repair technicians. All of our service is customizable and all of the indoor signs that we fabricate are designed to be compliant with Americans with Disabilities Act (ADA) guidelines for safety and navigability. Please read on to learn more about our indoor signage services. After you contact us with your interior signs specifications, we'll pair you with dedicated team members who will meet with you to understand your interior signage guidelines and specifications - are you looking to promote your business or product? Ensure your building's navigability? We offer a range of indoor signage types, including architectural signage, wayfinding signs, safety signs and other types of indoor signs in a variety of styles and colors and crafted from a variety of materials. After you've determined the signage that you need, our engineers will complete the fabrication process in one of our expansive facilities, with our project management experts overseeing the process and keeping you updated on your signage's progress. It's our cost-effective, customizable service that's made us one of the best-known companies in the Southwest, and the top name in Houston interior signage, Austin interior signage and Atlanta interior signage. Our trained and experienced personnel will custom-create the attractive, functional, ADA-compliant interior signs that you need. To learn more about Hardman Signs and our interior signage services, fill out our no-obligation quote form or call us today.